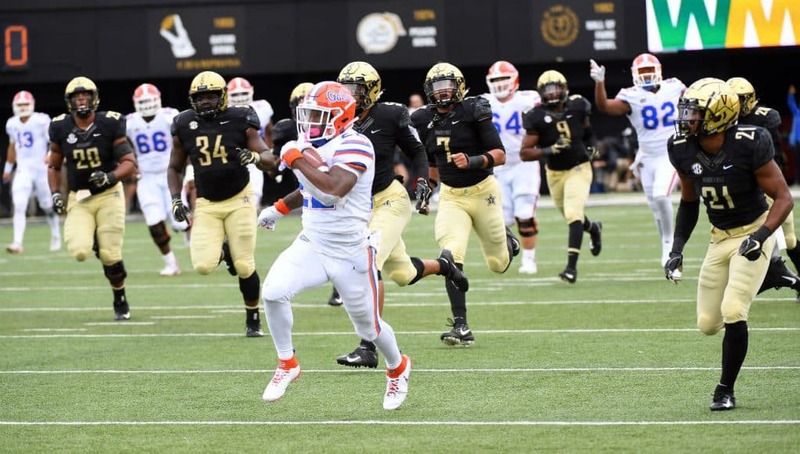 The Florida Gators were on top of the world before a matchup with the Vanderbilt Commodores. The Gators nearly fell victim to the trap game, but instead found a way to pull out a 37-27 victory on the road. These are a few of our most notable takeaways from the close call in Nashville. The talk all week leading up to this game was whether or not Florida would be able to sustain the same level it’s been playing at over the last few weeks. Vanderbilt is one of the oddest environments in college football. The small stadium was not filled even close to capacity, and more than half the fans in the stands were dressed in orange and blue. Coming off the high of beating rival Tennessee and SEC West foes Mississippi State and LSU in back-to-back weeks, the possibility of a letdown in Nashville was highly conceivable. And that possibility became a reality early on. 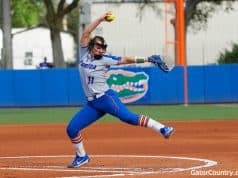 The Gators didn’t necessarily look to be playing with a lack of energy, but just a lack of discipline. It started after the defense came up with a dominant three-and-out on the first drive, then Florida’s offense drove down the field with relative ease to the Vanderbilt 5-yard line and Feleipe Franks gave the ball back to the Commodores with an interception. Dan Mullen should take some of the blame for the play calling in that situation, but either way, the momentum immediately started making a shift toward the home team. The defense fell to complete shambles as it allowed Vanderbilt to march down the field for the first touchdown of the game. Florida answered with a field goal, but again, the defense could not hold up as it left Ke’Shawn Vaughn wide open for a 75-yard touchdown catch and run. The Gators held up for a bit after that, until Franks turned it over again inside Commodores’ territory and allowed a crazy return all the way to the Florida 28-yard line. From there, a couple of penalties helped Vanderbilt into the end zone to take a 21-3 lead. One of those penalties included an unsportsmanlike conduct on linebacker Vosean Joseph, and that eventually turned even more costly when the two teams nearly broke out into a brawl late in the half. With the current rule, each player on both teams was charged with an unsportsmanlike conduct penalty, and that resulted in the ejection of Joseph since it was his second of the day. Linebacker James Houston was also tossed for targeting on the same play, leaving the Gators down two players in the middle of an already struggling defense. The obvious need for rule changes aside, the Gators started very poorly. Maybe it was due to the tough stretch they have dealt with recently, but those mistakes against Georgia in a couple weeks would be game-altering. Time and time again this season, this team has found ways to win games in ways it probably wouldn’t have in years past. It did it again on Saturday. After going down by 18 points in the second quarter, it felt like success might finally be running out for the Gators. Florida’s offenses just haven’t been built to come back from that kind of deficit. The Gators were able to make it a one-score game following the drama that ensued late in the second quarter, but things really started to shift back in their favor when they came back for the final half of play. 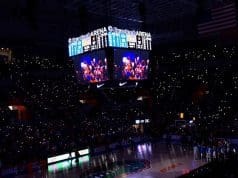 It didn’t start out beautifully with a quick three-and-out, but the next time the offense took the field, Florida gained momentum and never let go. 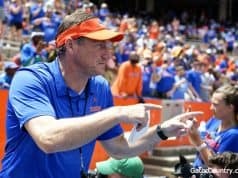 The Gators found themselves needing three more yards on fourth down inside their own 40, but everyone should know by now that Mullen always has something up his sleeve. For the third game in a row, Florida used a trick play to help win the game. This one was put in the hands of punter Tommy Townsend, who took the snap and ran full speed ahead for 18 yards. That eventually resulted in a 38-yard touchdown pass from Franks to Van Jefferson to bring it within a point. From there, Florida’s run game took over, but we’ll get more into that later. The point is, despite the worst possible start, the Gators would not be denied in this game. Vanderbilt plays Florida tough pretty much every year, but the Gators finished just a little bit tougher. A problem for opposing defenses, that is. For the first time this season, Florida’s two-headed monster of Lamical Perine and Jordan Scarlett both eclipsed 100 yards on the ground. Perine led the Gators in rushing with 121 yards on 23 carries, but he also made some noise catching it out of the backfield. He was Florida’s top receiver in the game with four catches for 93 more yards. Just as impressive, Scarlett finished with 113 yards rushing on 16 attempts for an average of 7.1 yards per carry. Perine and Scarlett both scored touchdowns in key situations. Perine’s 7-yard rush and stretch into the end zone followed up Vanderbilt’s third score of the game to make it 21-10 and keep things within striking distance. Then, in Florida’s final possession of the first half, with his team on its own 29 and time running out, he caught a screen and nearly took it all the way. He was pushed out at the Vanderbilt 5-yard line, but the play led to a field goal that did not seem possible until then. Later on, Scarlett would break free for a 48-yard run on the first play of the fourth quarter to give Florida its first and final lead. Dameon Pierce also got some key playing time and ran for 40 yards on 10 carries, but made a freshman mistake with a fumble in the fourth quarter. That led to a Vanderbilt field goal, but did not come back to bite the Gators. With the way the two veteran running backs are playing right now, Florida has the luxury of leaning on them, and they will be a huge factor against Georgia in Jacksonville and beyond.